The other day, I saw this sign at my local Wal-Mart. Cards are in the front of the store near the registers; probably positioned so they could deter theft in the first place. This is a brand new sign. 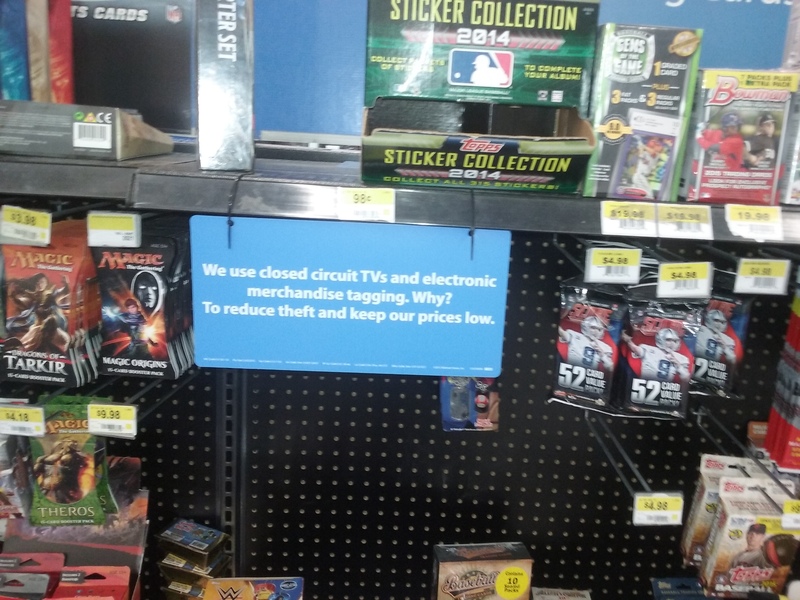 I know this Wal-Mart has problems with theft of cards because I have seen opened blaster boxes, minus the guaranteed hit(s) laying around the store a few times. As someone who struggles just to pay for the $10 blast boxes this annoys me to no end.